The Morso 6143 freestanding wood fireplace is constructed from cast iron to ensure both a quality and lasting wood fireplace for many years to come. The Morso 6143 is part of the Morso modern range with a contemporary spherical shape, large glass door and stainless steel handle. The Morso 6143 will make the perfect addition to your living room. The Morsø 6143 wood burning fireplace is a smaller radiant stove with impressive performance capability. It is perfectly suited for use as the primary heat source in smaller homes, or as a supplement to another heat supply. 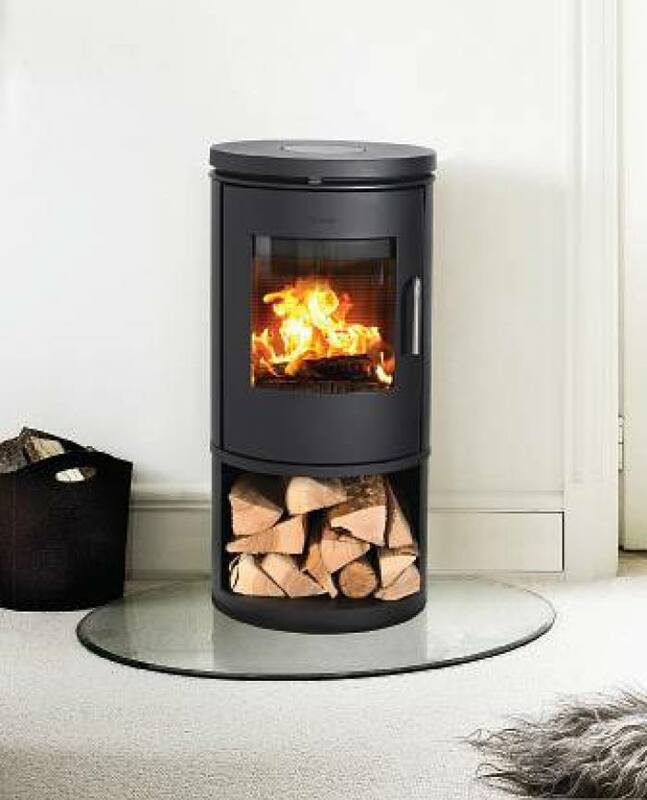 The Morso 6143’s unique combustion system helps ensure a higher termperature in the combustion chamber, which means it burns off the flue gases. This provides a cleaner and more envionrmentally-friendly combustion and a higher level of efficiency.